Exchange knowledge – Enjoy Greece – Build skills! Are you interested in advancing your teaching skills? Isn’t it a great idea to do an internship next to the Greek sea and spend your free time swimming and doing water sports? Well… we have an interesting internship opportunity just for you!!! 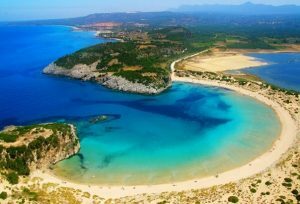 Greece is one of the most popular European holiday destinations. It is especially popular because of its beaches, food, and the lively nightlife. Our wider region, the Peloponnese is a place of immense historical importance, as it possesses several monuments from different historical periods. 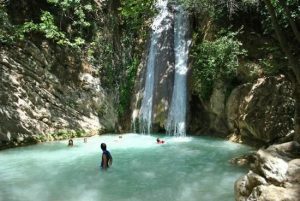 This, combined with its beautiful beaches with crystal clear blue water, makes it a popular tourist-destination, especially during the summer. Kalamata (Greek:ΚαλαμάταKalamáta) is the second most populated city of the Peloponnese peninsula in southern Greece. It is surrounded by a beautiful environment that combines the sea with mountains, a combination that offers itsinhabitants and visitors not only beauty, but also chances to get in touch with nature, all year long. 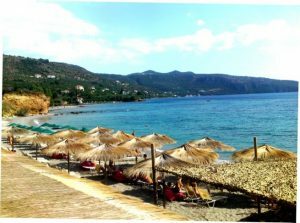 In Kalamata you will find a 4km long city beach that has been granted the Blue Flag Award of quality, where people can swim in the crystal clear waters or just lie and enjoy under the sun. 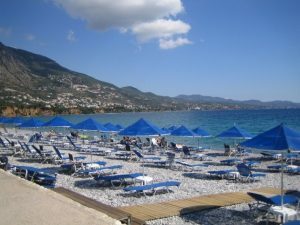 Kalamata Beach has numerous cafés, beach bars, restaurants, and taverns and is also one of the beautiful places to go for a walk, day and night. It is the perfect place to have your language internship. Apart from having the opportunity to visit some great places, you will get the chance to demonstrate your communication and presentation skills, as well as the ability to inspire students to learn your native language. Whether you are looking to boost your language skills, and gain some experience to improve your CV, or you just want to try something different, this internship programme in Kalamata is ideal for you! This language internship programme is organized by Κ.Α.ΝΕ, Social Youth Development. K.A.NE. 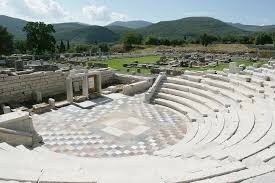 is a non-profit educational organization based in Kalamata Greece. K.A.NE. has long experience in the organisation and implementation of educational programmes such as internships, vocational training, youth learning mobilities (international volunteering, youth exchanges), non-formal education trainings, and seminars, conferences. Our services are designed especially for young people, and aspire to offer opportunities for social, personal, and professional development. Since 2008, we hosted more than 300 international youth in different learning programmes. Parallel to that, we are working together with the local community with the aim to activate, involve, and offer learning opportunities to local youth. We opened the Youth Centre of Kalamata in 2009 and up to this moment, more than 4500 people attended trainings in the Youth Centre. The second main youth project we have initiated is the Kalamata Street Festival, an international youth festival, which aims to give opportunities to the local artist to present their work and develop professionally. K.A.NE.’s staff, beside the long experience in education, has expertise in tutoring, mentoring, counselling, professional and personal planning, soft skills and personal analysis. International applicants that have completed at least two years of university studies in English/French literature, Pedagogy, and Education (Teaching) or graduates from these fields of study who would like to acquire experience are eligible. Priority will be given to English/French/Spanish native speakers. You can find the application form here. Please send the completely filled and signed application form together with your CV (please use the Europass CV template, which you can find here: Europass CV) to following address language.internship@gmail.com by the 10th of May 2016. Internship has no participation fee, however you will be asked to pay a fully refundable* deposit of 100.00 euro. Additionally, we offer you free accommodation!!! *The deposit will be refunded to you in cash or by bank transfer (depending on your preference) the day before your departure (when your internship will be completed). If you cancel or you do not complete your internship we will keep the deposit. Organising the internship programme for you includes booking and paying for you accommodation, dedicating working hours, and committing our resources for your learning experience. In case of cancellation, we will still have to cover these costs. The deposit should be paid (bank transfer or postal order) by the 21 May 2016. As soon as we receive your application we will send you an e-mail to inform you whether you application is accepted. If your application is accepted, we will send you all information about your internship, the reference letter, as well as the bank account/ Paypal account for the deposit. – Your participation is free. We will cover costs of your accommodation in shared flat with shared kitchen and bathroom. – You will only pay your travel costs to and from Greece and your personal expenses. – You will have to place a safety deposit of 100.00 euro. The safety deposit is fully refundable if you successfully complete your internship and will be refunded to you the day before your departure. – Please note that we cannot reimburse the deposit if you cancel your participation after the 31st of May 2016. If you cancel before the 31st of May 2016, we will reimburse the total deposit of 100 Euro. – The internship period starts on Monday. Arrival day is Sunday. Departure day is Saturday. – Internship offers intensive standard course to locals (4 sessions per day).The duration of each session is 45 minutes. – The groups will be split according to their student’s level in each language (basic, intermediate, and advanced level) and will consist of 8-10 local students. – You do not have to pay any taxes, electricity and water fees. – The number of the interns is limited. In each period only six (6) interns can be hosted. – At the end of language internship, you will receive a certificate for your participation. – Health, accidents and third party liability insurance is not included. It is highly advisable to have your European Health Insurance card with you or to acquire travel insurance. – The internship is free of charge, accommodation is provided by us free of charge. However, you have to pay your travel and personal costs. The sooner you book your ticket the cheaper it will be. *There is a possibility to organize additional activities like sailing or paragliding with an extra fee (always a special price for our group).